Aurora, a UAE-based boutique real estate development company, said it has successfully delivered its latest housing project, Hyati Residence, in Dubai’s Jumeirah Village Circle (JVC) neighbourhood at an investment of Dh168 million ($45.7 million). 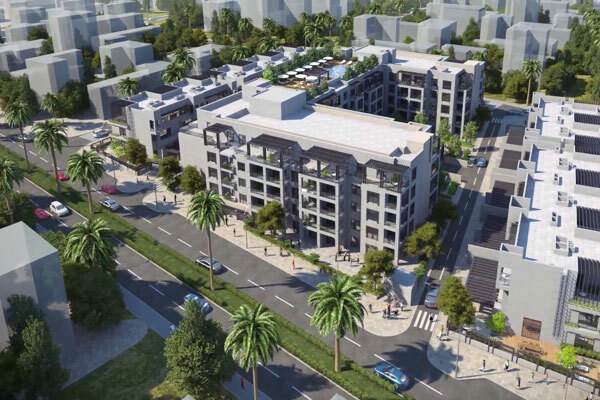 The company said a total of 122 apartments and 20 townhouses have been delivered in Phase One of the project, while Phase Two will see a further 103 units and 19 townhouses being delivered by the end of next year. On the successful delivery, CEO Cian Farah said: "We are very proud of Hyati Residence and are dedicated to constant improvement through the creativity and efficiency of our designs. We look forward to welcoming the rest of the residents into their new homes." "To date, Aurora has completed projects valued at Dh275 million, consisting of Hyati Residence, Ritz Residence, and F01, with another Dh238 million worth under construction, namely Hyati Avenue and Lyra by Aurora," stated Farah. Lyra by Aurora, in Warsan 4 close to Academic City, is an apartment complex specifically catering to young professionals and students, said the official. Aurora is working with its key strategic partners and associated companies from ECC Group including: Engineering Contracting Company (ECC), Abanos interior fit-out and joinery, CoreServ Facilities Management, Prime Metal Industries (PMI), and United Masters Electromechanical (UME). Hyati Residence buyers had the option to make minor structural changes to kitchens and bathrooms thanks to the involvement of ECC Renovations, said a senior official. "Our role in the project was to deliver on individual client requests for their homes," remarked Zamahn Sajjad, project manager of ECC Renovations.